Info on this 1944 audio disc. It's flimsy plastic. I'm guessing I can mount it on my TT and try the 78 rpm stylus and cartridge. Anyone run into one of these before? I remember when they used to put these really thin flimsy records (discs) in magazines --- you'd pull them out and try and play them, not always successfully, but they were interesting. yep, me too. here's the note that came with them. They were sent to a local post house and they called me. We have four 7" recordings (like floppy vinyl) of some talks at the ASM's 1944 annual meeting. We're exploring getting the sound migrated to a more usable medium. Any chance of your being able to help? The square spindle-hole in the center, see attached image, makes me think even playback would be impossible today. I recall there being an office dication machine of the 1950s that used these, I think my father's office might have had one. I'd look into that avenue--office equipment--over anything to do with pro audio. Those were flexi-discs, and were a common fixture in music magazines in the 70s and 80s. I'm pretty sure they were pressed from metal stamper discs in the same fashion as vinyl records. 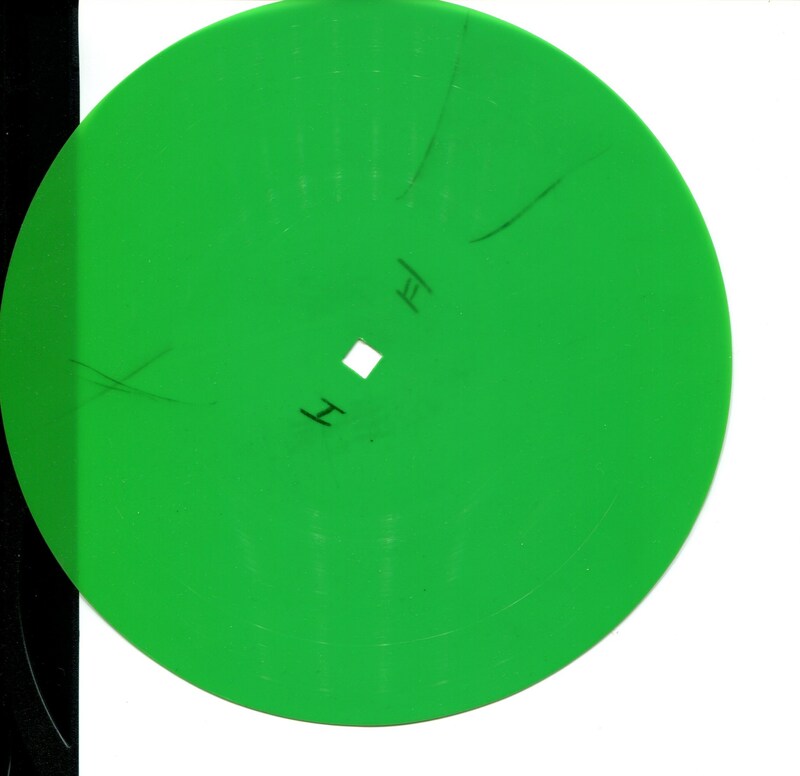 What Ty has looks like an acetate that was cut directly on a lathe, usually done at the same time the master disc lacquers were produced, and made for testing purposes. The material used was much less durable than pressed vinyl and could only be used for a few playbacks before the stylus would have essentially destroyed the groove. Ya, I think Jeff's thinking of the Soundsheets developed by Eva-Tone and stuck in magazines, etc. For a story a long time ago I got to talk to the folks at Eva-Tone...great and clever people, and at the time they were working on developing short-lived CDs and DVDs that would hold up for just a few plays...interesting idea, but didn't catch on. Eva-Tone went bankrupt in the late 00s. Sigh. I'm surprised we didn't see one of these in Mad Men. 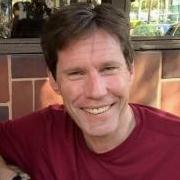 You are the man, Jim Feeley! Finding that picture, that's gold. I wonder if that's the one from Philip's father's office! SoundScriber was a dictation machine introduced in 1945 by The SoundScriber Corp. (New Haven). It recorded sound with a groove embossed into soft vinyl discs with a stylus. Similar competing recording technologies were the Gray Audograph and Dictaphone DictaBelt. The machine could record 15 minutes of dictation on each side of a thin (.01 inch) flexible 6 inch vinyl disk turning at a rate of 33 RPM, at a density of 200 grooves per inch. The disks cost about 10 cents each. The machine had two tone arms; a recording arm driven by a worm gear that created the groove with a diamond stylus, and a pickup arm with a sapphire stylus for playback. A foot operated playback/pause and reversing switch was used for transcribing. Unlike some other recording technologies of the time, the recording stylus created the groove not by cutting the vinyl but by embossing (plastically deforming) the surface, leaving no waste plastic chips to get into the mechanical works. The format remained popular for two decades before it was superseded by magnetic tape recorders, due in part to the robustness of the discs and the ease with which they could be mailed. The green discs with their characteristic square center hole came in three sizes, 6 inches (known as "Mail Chute") that played for fifteen minutes per side, a 5-inch disc with 10 minutes of recording time per side, and 4-inch "Memo Discs" with eight minutes of recording time. The soft vinyl medium limited the number of times a disk could be played back without degradation of the audio quality. Since they are embossed, will a standard tone arm, cartridge and stylus track them? I'm guessing that, in 1944, the track specs would be more like the size of a 78 RPM than a 33 RPM "microgroove" groove. "Since Soundscriber’s disks could be played on a 33 1/3 RPM phono, the company advertised that you could mail messages back to the spouse and kids as well (remember, long distance phone calls were quite pricey before deregulation)." And you had to put a coin on one side of the label area to stabilize the disc. What wow and flutter? Yes, I recall Eva-Tone quite well. One of the most memorable was a Mad Magazine insert with a song titled, "It's A Gas," which was replete with relevant sound effects. Was Eva-Tone's only production facility in Clearwater? I used to pass that place as a kid and always wanted to stop in. Too late now, I guess. A few years back I saw a talk at Stanford University CCRMA about a technique that had been developed for laser scanning a record and digitally recreating the audio from the "picture" of the grooves. It worked well enough to recreate audio from a disc that had been fractured into many pieces and was obviously unplayable. Mono only at the time. The results weren't hi-fi, but as a way to recover possibly lost-for-ever sound, I was highly impressed. Got the discs and after seeing the grooves went with a standard 33 1/3 stylus instead of 78. My Audio Technica turntable has speed control and slowing it down to 33 rpm sounded right. Lotta noise. RX2 to the rescue.